As per Nancy and zetas, we are in progress of the sequence of 7 / 10. However, none of the steps have been 100% completed. The indo-australian plate has been rising and tilting indicated by for example, the brisbane flood in January 2011 and Earthquake of 7.1 in Christchurch on 4th of September 2010 plus another quake of 6.3 on 22nd of February 2011 . Indonesia has been sinking with lots of earthquakes, sinkholes, earth cracking, volcano eruptions, landsliding and off course flooding all around the coast line of Indonesia. A folding pacific has created a lot of pressure tectonically in the pacific ocean and consequently a big earthquake magnitude of 9.0 happened on March the 11th 2011 in the ocean near the northern Japan with a 10 meter Tsunami and finally nuclear disasters. Please note that this is not the great quakes mentioned in the 7 / 10 sequence. Not yet! Severe earth wobble has caused wild weather around the world. Drought, rain, bush fires, hailstorms, sandstorms, thunderstorms, cyclones, tornadoes, etc, have hit various part of the world. In US alone, we have seen close to 300 tornadoes in April 2011 alone and around 400 died in total. South America is now showing signs of rolling west as per Nancy's blog in "7 of 10 Status as of April 28, 2011". These are all precursors for the bigger events such as new madrid adjustment and off course the european tsunami in the 7 / 10 sequence. It took almost four months to get to step 4. It is time to prepare and please take it seriously! The intention of this blog is to take a closer look at the new madrid adjustment in details and see if we can connect all the dots together. I thought that this could be beneficial especially for all new members who have only joined this ning recently but also a good reminder to all existing members. Information has been compiled from Zetatalk, blogs from various members plus all other new madrid related information and articles on the world wide web . We have described the plate movements to be anticipated during the hour of the pole shift as a scripted drama, and stated that the plate movement ahead of the pole shift can be anticipated to fall along those lines. Thus, our statements that the New Madrid zone will adjust at the hour of the pole shift was well as before that hour are consistent. The Atlantic is tearing now, thus the Iceland volcanoes, and will tear further well before the pole shift to cause the European tsunami, as we have described. But this in no way compares to the major tearing of the Atlantic that occurs during the hour of the pole shift. The Seaway is pulling apart now, thus the humongous sinkhole just NE of Montreal, but this is no way compares to the pulling apart that will occur during the hour of the pole shift. When we speak of a New Madrid adjustment as potentially part of a 7 of 10 or an 8 of 10 stage, we are not speaking of the pole shift adjustments. Those are regularly referred to as the hour of the pole shift, to differentiate any Earth changes that come before. Prior to the pole shift, the New Madrid will adjust. Canada remains firmly attached at her border with the Eurasian Plate, and thus the Seaway will participate in this pre-shift New Madrid adjustment. But the primary reaction will be along the Mississippi, with bridges failing and land just to the west of the Mississippi dropping slightly. Certainly this adjustment, which may be a series of large quakes, will shatter cities throughout the region and affect cities all the way to the Great Lakes and down into Mexico. The New Madrid adjustment will affect so much area, in a domino manner, that it will not be a single large quake, but a series, separated by weeks and months. The primary adjustment will be within days, after shocks for weeks, but months later still, adjustments. The New Madrid is associated with fault lines that run up toward the Great Lakes, Chicago will adjust and rupture, Ohio will be pulled in places, and as we have explained, the land to the West of the Mississippi will sink in places. There is a known fault line that runs from the center of the Gulf up along the East Coast, thus the effect in 1811-12 in the Carolinas and DC on up to Boston. Then, as we have explained, there will be a bow from San Diego out to Arizona, which will rupture the great dam on the Colorado. When this bow, which forces Mexico too far to the West for the comfort of the West Coast, adjustes, it will be a slip-slide adjustment of the San Andreas and related fault lines up the coast. In September, FEMA's associate administrator for Response and Recovery, William Carwile, told a Senate panel that FEMA has five regional groups planning for possible earthquake responses, but a major quake along the New Madrid fault line could displace 7.2 million people and knock out 15 bridges. The response would require 42,000 first responders from local firefighters to the Pentagon." "Although Memphis is likely to be the focus of major damage in the region, St. Louis, Mo., Little Rock, Ark., and many small and medium sized cities would also sustain damage, " the U.S.. Geological Survey found. South Carolina is home to an active fault line, which could also produce a catastrophic earthquake. A quake in Charleston in 1886 was a magnitude 7.6. That city in 2008 had a population in excess of 348,000. Much of that state's coastal area is at risk." This year marks the bi-centennial of the New Madrid Quake. Mr. Nations is not the only one concerned many communities are making preparations and there aregeologists warning of the dangers. A new report out recently also stresses Americans are not prepared. FEMA is also asking that groups take part in the Great Earthquake ShakeOut Drill. 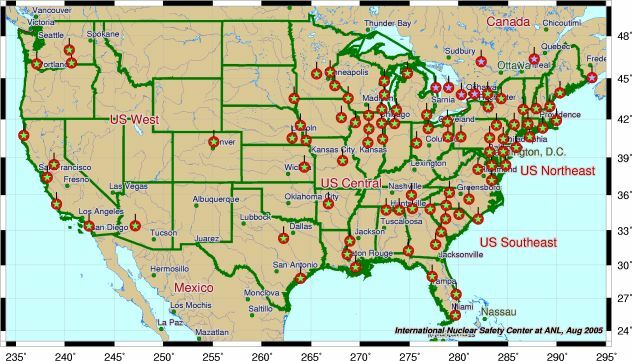 A Map that shows the locations of the nuclear plants along the New Madrid Fault zone can be viewed here. land from Mexico to northern California which would ultimately cause the Hoover Dam to break. dry desert of Arizona expected to remain relatively undisturbed, during the coming pole shift? Davis Dam is a dam on the Colorado River about 45 miles (72 km)) downstream from Hoover Dam. It stretches across the border between Arizona and Nevada. Originally called Bullhead Dam, Davis dam was renamed after Arthur Powell Davis, who was the director of the U.S. Bureau of Reclamation from 1914 to 1932. The United States Bureau of Reclamation owns and operates the dam, which was completed in 1951. The Flaming Gorge Dam is a concrete thin-arch dam in the Flaming Gorge of the Green River, a major tributary of theColorado River, in the U.S. state of Utah. One of the largest dams in the American West. Situated in Flaming Gorge, a canyon of the Green River named by John Wesley Powell, the dam was built and is operated by the U.S. Bureau of Reclamation. Groundbreaking for the structure began in 1958 and was completed in 1964. The Glen Canyon Dam is the second largest dam on the Colorado River  at Page, Arizona, USA. Construction of the dam began in 1956 by the industrial conglomerate, Merritt-Chapman & Scott. Although the dam was not dedicated until 1966, it was able to begin blocking the flow of the river in 1963. Hoover Dam, once known as Boulder Dam, is a concrete arch-gravity dam in the Black Canyon of the Colorado River, on the border between the US states of Arizona and Nevada. It was constructed between 1931 and 1936, and was dedicated on September 30, 1935 by President Franklin Roosevelt. Its construction was the result of a massive effort involving thousands of workers, and cost over a hundred lives.
. Built between 1934 and 1938 by the Bureau of Reclamation. The Morelos Dam (the last dam on the Colorado River) will not be able to hold back the upcoming deluge of the Colorado River as the dams above breach. The Morelos Diversion Dam, located on the Mexico–Arizona border, is the southernmost dam on the Colorado River. It sends nearly all of the remaining water to irrigation canals in the Mexicali Valley and to the Mexican towns of Mexicali and Tijuana. As a result, the river rarely reaches the Gulf of California, normally the river's mouth. Consequently, the vast wetlands at the mouth of the Colorado River have been reduced to just a fraction of their former size, affecting vegetation and wildlife. Before the construction of a number of dams along its reach, the Colorado flowed 129 kilometers (80 miles) through Mexico to the Gulf of California. The bowing stress on N. America is the result of the daily Torque Effect caused by Planet X gripping the highly magnetized Atlantic Rift. This causes the N American continent to be pulled into a bow, the Aleutian Islands pulled toward the tip of Mexico, with the center of the bow at San Diego. We have discussed what we call the stretch zone, where a land mass is pulled apart so that the rock flakes pull across each other, silently, creating sinkholes and rifts and manifesting as broken gas and water mains and derailing trains. These stretch zones have dramatically expressed themselves in the African Rift area and in the SE United States and in the UK during the past couple years. When Planet X arrived in the inner solar system in 2003 and began seriously tugging at the highly magnetized Atlantic Rift, it accentuated this stretch on either side of the Atlantic. What went unstated during these discussions is why a stretch zone occurs. Look at S America, on the large S American plate. As the Atlantic is pulled apart, the Pacific compressed, it is required to have the upper part migrate to the West more than the tip, which is anchored at Antarctica. It moves as a whole, in the main, crunching the small plates in the Caribbean and Central America as it does so and popping the plate holding the Galapagos Islands which lies just to the west of S America. It can move, in short. But what of the African and N American plates? The African Rift is caused because Africa is not free to move. It is bulbous at the north end, and comes to a tip at the south end. It is anchored at the south end, at South Africa, so when the Atlantic pulls apart, the bulbous northern part of the African plate moves directly eastward, yawing open the African Rift, along with the Red Sea, which is also widening. This inability of plates to move during the ripping apart of the Atlantic and compression of the Pacific is what will create a new rift up through Pakistan and above the Himalayas into Russia during the pole shift, equivalent to the St. Lawrence Seaway in N America. The Indio-Australia plate moves in the direction of the Himalayas, diving under them. Hawaii rises up during compression of the Pacific, so can move, if only up. Japan likewise is forced up, violently so, during Pacific compression. The Antarctica plate, as we have mentioned, is pressed down in the Pacific so will pop up on the Atlantic side, creating new land there ultimately during the pole shift. The giant plates of N America and Eurasia are locked against each other, unable to rotate against each other due to their shape. Slip-slide along the West Coast, measured as a creep by geologists, is due only to slight adjustments along that edge of the plate, primarily due to adjustments within the small plates to the west of the N American plate, which move to accommodate pressure. The N American plate does not move, pre se, but other dramas occur. We explained, months before it expressed enough to show up on IRIS charts, the Earth torque caused as the N Pole continuing to rotate to the East while the S Pole was held back by Planet X, tending to open the globe like a jar of pickles. This creates a diagonal stress on the N American continent where New England is pulled to the east while Mexico is pulled to the West, so the New Madrid is put under slip-slide stress where one half, east of the Mississippi, will move toward the NE while the other, west of the Mississippi, moves toward the SW. The virtual hook of land in the N American continent near the Kamchatka peninsula is solid rock and will not snap off to become a separate land plate, nor would this ease the deadlock along the N American and Eurasian plates even it if did. These massive plates cannot move. The stress on the N American plate will resolve by ripping. Ripping the St. Lawrence Seaway open. Pulling the SE down into the crumbling Caribbean and into the widening Atlantic, as neither of these sinking fronts will be able to support the edge of the weighty N American plate. There is pressure along the West Coast, of course, and as the N American plate confronts the compressing Pacific, this will only result in the predictable volcanic increases and West Coast earthquakes. But the primary drama preceding the pole shift will be the ripping action that a plate unable to move must endure. The notable area of catastrophe during this is the eastern half of the continental US. From Houston to Chicago to New England, the diagonal pull will tear the underpinning of cities and create a catastrophe for the US that will make the New Orleans disaster appear trivial. A widening Seaway also does not affect just those land masses bordering the Seaway, as buckling occurs inland and afar. What does man assume caused the Black Hills to be so rumpled, with the appearance of a recent bucking and heaving? This is the center of a land plate! 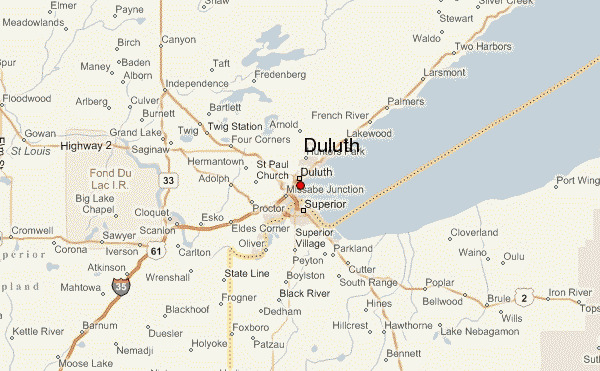 The tearing of the Seaway does not end at Duluth, MN, it travels underground to S Dakota! Indeed, tearing of the St. Lawrence Seaway will occur during the Ne.... We have warned that quakes on the West Coast, or the Seaway, or in the New Madrid region will occur before the major quake in the New Madrid region we have referred to as the adjustment on a 7 of 10 level. There will be quakes in these areas, magnitude 4-7, which should not be considered the New Madrid adjustment of which we speak. Please do not ask, at every quake, what this "means". It means the New Madrid adjustment is still pending. When the tension in the N American continent starts to force major tearing of rock strata, so that the changes we have described can take place, this will not be all at once, simultaneously. We have described a series of large quakes, with one major one stemming from the New Madrid area that will be called a magnitude 9 but in truth will be larger. It is this quake that will set in motion adjustments elsewhere. Mexico will lurch to the west as this major quake occurs, with a settling of land to the west of the Mississippi almost instantly afterwards. 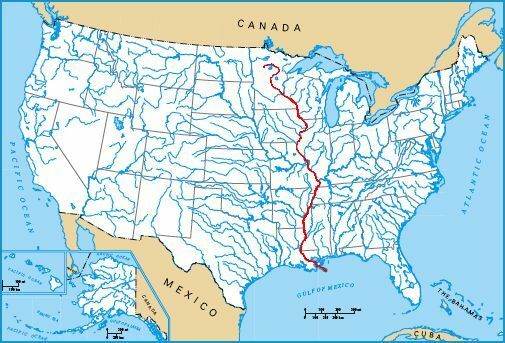 The Mississippi will seem to have widened, and those to the west will see a new view as they look east, as their land will have shifted to the southwest as well as dropped. Because the lurch of Mexico to the west actually intensifies the bowing of the N American continent, the Seaway tears open. This is actually various adjustments at weak points along the Seaway rather than the tearing apart into a larger inland bay that occurs during the pole shift itself. Niagara Falls will remain, but some of the inland locks will break. When the upper Mississippi region finds the land to its west slipping down and to the southwest, those parts north which were formerly firmly attached find they can spring northward, as the pressure from the bow had been inclining them to do. This allows the edge of the rip, at Duluth, MN, to tear further inland, with consequent rumpling in S Dakota and minor shifting of ground in all parts in between. Due to the rise in sea level to 675 feet within two years after the pole shift, the N American continent will appear to be two separate land masses in .... The 7 of 10 will not effect this change, but will tear most bridges on the Mississippi River when the New Madrid adjusts. This will of course affect travel and distribution of goods, but in that the Mississippi employs barges, a workaround will be arranged quickly enough. But after the pole shift the eastern half of the continent will certainly be more isolated. Travel across the widened seaway by boat, across the flooded Mississippi Valley by barge, and by foot through the swampy land of what is now northern Illinois will certainly be possible. After the New Madrid adjusts, those living in the US should be considering their proximity to loved ones, in this light, the travel restrictions being considered a wake-up call re what is coming if nothing else. In describing the 7 of 10 scenarios, we do not detail every minor quake or every point where a minor tsunami might be generated. The 7 of 10 scenarios did not even include the major quakes in Japan, which are predicted to be in the range of magnitude 9's. Nor did they include the tsunami that large quakes in Japan always involve, which we have recently stated could be considered to be as high as 150 feet for the South Island quakes. After the New Madrid adjusts the West Coast adjusts, as we have stated. We have not detailed this, as compared to the New Madrid this is minor. All the fault lines closely watched on the West Coast will adjust, the volcanoes nervously watched will erupt, and certainly the waters off the coast will be choppy if not generating some minor tsunami during the plate adjustments. The West Coast of the US is alert and guarded in this regard, as is Japan. They anticipate this type of activity, and will be alert to signs that a quake or eruption or tsunami is pending. Thus, we focus on the larger changes, and in warning those areas that will not receive such services from their governments. There is general confusion about our predicted Earth changes. This is most often envisioned as happening all at once, suddenly, without warning. Where earthquakes and stretch zone accidents do seem to happen almost without warning, their approach is never that silent. The N American continent has been getting these warnings for some time, with increasing intensity. Quake swams in the New Madrid region and west of this spot have been occurring, and are on the increase. Sinkholes and shifting roadways are occurring from Pennsylvania through Tennessee and elsewhere. The center of the bow being formed by the N American continent, the San Diego area, has an epidemic of water main breaks, and the snapping rock inland from this point has affected a mine in Utah. None of this is officially ascribed to the New Madrid adjustment that is pending, though FEMA gives evidence of their nervous preparations for the disaster they know is pending. Will the New Madrid just suddenly rip with our predicted magnitude 9 quake? Hardly. There will be a progression of quakes in the magnitude 4-5 range all along the New Madrid fault line, which runs up to the Great Lakes and thence along the seaway. The bow will become more stressed, cracking rock inland from San Diego all the way to the Mississippi, and forcing adjustments north and south of this point too, from the Aleutian Islands to the tip of Mexico. Sinkholes and crevasses will proliferate throughout the US in her stretch zones, in a swath that ranges from the New England states south to the tip of Florida and all points west. This is a large bow. Then quakes will increase to the point of being considered magnitude 6-7 along the long New Madrid fault line and its attendant splinters. The New Madrid adjustment will thus NOT sneak up on you, but will be well announced. Bob Nations, Jr., the Director of Shelby County Office of Preparedness, says that since the lack of preparation exposed by Hurricane Katrina, he is "preparing for the catastrophic event" in his six-county jurisdiction. Nations admitted that after a major quake, Tennessee's infrastructure and response capabilities "would get overwhelmed fairly quickly." There are 15 nuclear power plants in the New Madrid fault zone -- three reactors in Alabama -- that are of the same or similar design as the site in Japan experiencing problems. "The older highways and railroad bridges that cross the Mississippi River, as well as older overpasses, would likely be damaged or collapse in the event of a major New Madrid earthquake," according to USGS. In September, FEMA's associate administrator for Response and Recovery, William Carwile, told a Senate panel that FEMA has five regional groups planning for possible earthquake responses, but a major quake along the New Madrid fault line could displace 7.2 million people and knock out 15 bridges. The response would require 42,000 first responders from local firefighters to the Pentagon. The Three Mile Island accident was a core meltdown in Unit 2 (a pressurized water reactor manufactured by Babcock & Wilcox) of the Three Mile Island Nuclear Generating Station in Dauphin County, Pennsylvania near Harrisburg,United States in 1979. Unit 1 had its license temporarily suspended following the incident at Unit 2. Although the citizens of the three counties surrounding the site voted by a margin of 3:1 to permanently retire Unit 1, it was permitted to resume operations in 1985. General Public Utilities Corporation, the plant's owner, formed General Public Utilities Nuclear Corporation (GPUN) as a new subsidiary to own and operate the company's nuclear facilities, including Three Mile Island. The plant had previously been operated by Metropolitan Edison Company (Met-Ed), one of GPU's regional utility operating companies. In 1996, General Public Utilities shortened its name to GPU Inc. Three Mile Island Unit 1 was sold to AmerGenEnergy Corporation, a joint venture between Philadelphia Electric Company (PECO), and British Energy, in 1998. In 2000, PECO merged with Unicom Corporation to form Exelon Corporation, which acquired British Energy's share of AmerGen in 2003. Today, AmerGen LLC is a fully owned subsidiary of Exelon Generation and owns TMI Unit 1, Oyster Creek Nuclear Generating Station, and Clinton Power Station. These three units, in addition to Exelon's other nuclear units, are operated by Exelon Nuclear Inc., an Exelon subsidiary. 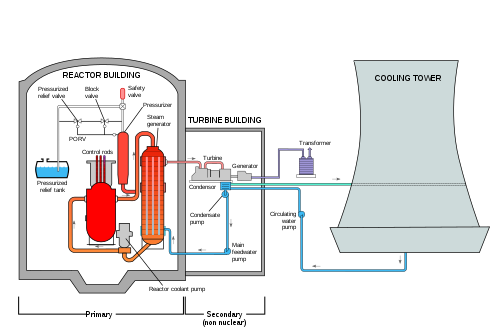 Today, the TMI-2 reactor is permanently shut down with the reactor coolant system drained, the radioactive water decontaminated and evaporated, radioactive waste shipped off-site, reactor fuel and core debris shipped off-site to a Department of Energy facility, and the remainder of the site being monitored. The owner says it will keep the facility in long-term, monitored storage until the operating license for the TMI-1 plant expires at which time both plants will be decommissioned. 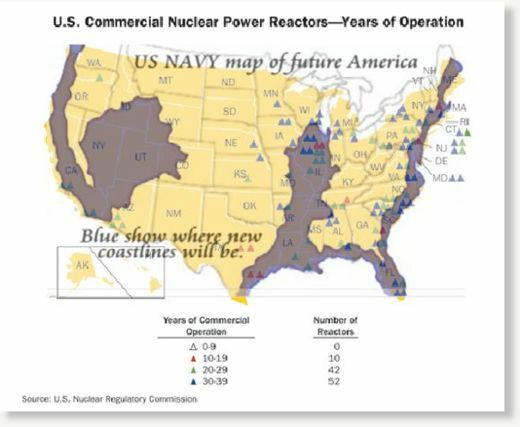 In 2009, the NRC granted a license extension which means the TMI-1 reactor may operate until April 19, 2034. NEW MADRID FAULT, WHEN WILL IT SNAP? What is the New Madrid fault line, and why is it so much on the tips of tongues these days? 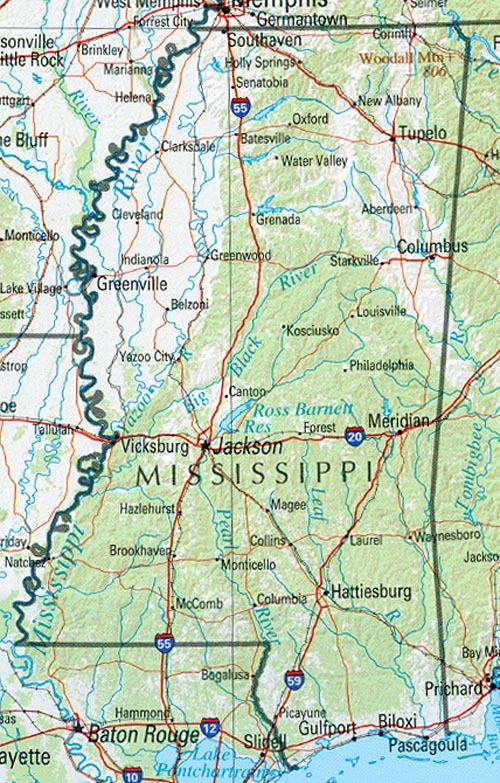 The New Madrid fault line essentially follows the Mississippi River from Illinois to Arkansas. 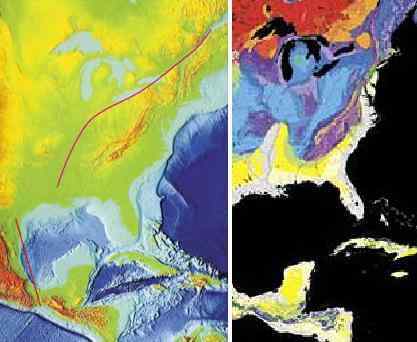 The New Madrid fault system, or the New Madrid seismic zone, is a series of faults beneath the continental crust in a weak spot known as the Reelfoot Rift. It cannot be seen on the surface. The fault system extends 150 miles southward from Cairo, Illinois through New Madrid and Caruthersville, Missouri, down through Blytheville, Arkansas to Marked Tree, Arkansas. It dips into Kentucky near Fulton and into Tennessee near Reelfoot Lake, and extends southeast to Dyersburg, Tennessee. It crosses five state lines, and crosses the Mississippi River in at least three places. Seems like a local affair, but this is deceptive. Where quakes along the West Coast of the US cause a jolt in the underlying rock, the area surrounding the New Madrid is essentially mud, soil, wet from the mighty Mississippi and Missouri and Tennessee and Ohio rivers which join near the New Madrid fault line, and liquifaction thus affects a huge area. The shock or repeated shock of earthquake waves can cause water-saturated soil to rearrange itself in such a way that it essentially becomes a suspension of solids in the liquid. Heavy structures on such areas can suddenly sink or shift. Buried objects can shift and relatively low density objects can float to the surface. The last great quakes on the New Madrid fault line occurred in the Winter of 1811-1812. The 400 terrified residents in the town of New Madrid (Missouri) were abruptly awakened by violent shaking and a tremendous roar. It was December 16, 1811, and a powerful earthquake had just struck. This was the first of three magnitude-8 earthquakes and thousands of aftershocks to rock the region that winter. Survivors reported that the earthquakes caused cracks to open in the earth's surface, the ground to roll in visible waves, and large areas of land to sink or rise. By winter's end, few houses within 250 miles of the Mississippi River town of New Madrid (Missouri) remained undamaged. The crew of the New Orleans (the first steamboat on the Mississippi, which was on her maiden voyage) reported mooring to an island only to awake in the morning and find that the island had disappeared below the waters of the Mississippi River. Damage was reported as far away as Charleston, South Carolina, and Washington, D.C.
Just how far ranging was the effect, compared to a quake of similar Richter on the West Coast? Earthquakes in the central or eastern United States affect much larger areas than earthquakes of similar magnitude in the western United States. For example, the San Francisco, California, earthquake of 1906 (magnitude 7.8) was felt 350 miles away in the middle of Nevada, whereas the New Madrid earthquake of December 1811 (magnitude 8.0) rang church bells in Boston, Massachusetts, 1,000 miles away. Differences in geology east and west of the Rocky Mountains cause this strong contrast. [And more recently] earthquakes of similar magnitude-the 1895 Charleston, Missouri, earthquake in the New Madrid seismic zone and the 1994 Northridge, California, earthquake, [showed similar effects]. The [quake] in 1968, centered in southeastern Illinois near the confluence of the Tennessee and Ohio rivers, caused moderate damage, but it was felt across 23 states -- as far as the Carolinas -- and into Canada. A map on the USGS website shows the relative extent of influence, which is far more dramatic than might be imagined. In 1994 the 6.7 Richter Northridge quake was felt throughout southern California, barely reaching over the border into Nevada and Arizona and Mexico. The comparable 1895 Charleston, MO quake covered the eastern half of the US, primarily affected, of course, were the states central to the New Madrid fault line - Ohio, Kentucky, Tennessee, Arkansas, Missouri, Illinois, and Indiana. But the effect covered at least half of the states of Wisconsin, Michigan, Pennsylvania, Virginia, North and South Carolina, Georgia, Alabama, Mississippi, Louisiana, Oklahoma, Kansas, and Iowa, and crossed the border into the states of New York and Florida. But the seriousness of the situation is not described by the effects of quakes in 1811 and 1895, as going into the pole shift, during the quakes preceding the pole shift, there is another aspect to the fault line adjustments. There is an Earth torque, cause by the twisting of the globe that Planet X causes when it tugs on the S Pole of Earth and the highly magnetized Atlantic Rift, daily. By gripping the Atlantic Rift, the cause of the Global Quakes that have racked the Earth [since 2003], Planet X is creating a slow continental drift. The Atlantic Rift is held back when it faces or is in opposition to Planet X, creating not only a pile up in the plates following the rift, but also tearing apart the rift by the momentum to the East. What is the effect on the plates on either side of the rift when a void is created? There is a slide into the void, on the side experiencing a pileup, and thus the N American Plate is dropping into the void, relieving the stress of compression along its northern border in the Arctic by a torque to the side as it does so. The overall effect of this drift, which will increase in speed and force, will be a torque. Hold the globe with the left hand on the N Pole, the right hand on the S Pole. The N Pole going in the direction of rotation with the S Pole held back, the torque forces the N American Plate down and into the Caribbean. Complicating the torque is the fact that the N American continent is held rigid at the top, where the plate boundary crosses through the Arctic from the Kamchaka Peninsula just above Japan in almost a straight line to Iceland in the Altantic, East of Greenland. The N American plate, thus, CANNOT roll round to adjust to the stress of having the Atlantic widen and the Pacific shorten during the tugging Planet X does upon the Earth. Mexico wants to move westward faster than Alaska, but cannot without pulling the N American continent in a diagonal, a stress the Zetas call the N American Rip. This ZetaTalk was written during a time when S Dakota, at the Black Hills, was showing an odd stress wobble once daily, a clear sign this was a wobble induced by the tugging of Planet X. When Planet X arrived in the inner solar system in 2003 and began seriously tugging at the highly magnetized Atlantic Rift, it accentuated this stretch on either side of the Atlantic. What went unstated during these discussions is why a stretch zone occurs. Look at S America, on the large S American plate. As the Atlantic is pulled apart, the Pacific compressed, it is required to have the upper part migrate to the West more than the tip, which is anchored at Antarctica. It moves as a whole, in the main, crunching the small plates in the Caribbean and Central America as it does so and popping the plate holding the Galapagos Islands which lies just to the west of S America. It can move, in short. But what of the N American plate? The giant plates of N America and Eurasia are locked against each other, unable to rotate against each other due to their shape. Slip-slide along the West Coast, measured as a creep by geologists, is due only to slight adjustments along that edge of the plate, primarily due to adjustments within the small plates to the west of the N American plate, which move to accommodate pressure. The N American plate does not move, pre se, but other dramas occur. We explained [in May 2004], months before it expressed enough to show up on IRIS charts, the Earth torque caused as the N Pole continuing to rotate to the East while the S Pole was held back by Planet X, tending to open the globe like a jar of pickles. This creates a diagonal stress on the N American continent where New England is pulled to the east while Mexico is pulled to the West, so the New Madrid is put under slip-slide stress where one half, east of the Mississippi, will move toward the NE while the other, west of the Mississippi, moves toward the SW. The virtual hook of land in the N American continent near the Kamchatka peninsula is solid rock and will not snap off to become a separate land plate, nor would this ease the deadlock along the N American and Eurasian plates even it if did. These massive plates cannot move. The first evidence of this torque on the N American continent occurred in August of 2003, when a massive power outage struck New York City, causing a complete blackout with a million commuters walking home to suburbia silently across the bridges. The cause? A substation at Niagara, on the stretching seaway. A New York State official said the Niagara Mohawk power grid overloaded on Thursday, causing a massive power outage, and New York Major Michael Bloomberg said it was likely a natural occurrence. A massive power outage swept across swaths of the eastern United States and Canada on Thursday, leaving sections of New York , Detroit, Cleveland and Toronto without electricity. It was not immediately clear whether the Niagara Mohawk problem caused the wider outage. Canadian officials insisted a massive blackout Thursday across the Northeast and parts of Canada originated in the United States, though U.S. power workers denied that and American officials blamed Canada. This was followed by trail derailments and bursting gas and water mains and sinkholes and yawing crevasses that were suddenly and dramatically in the news. Sinking, or lack of support in stretch zone, results in sinkholes. The incidence of sinkholes, in the US alone, during the 6 months period from April to October 2004, was certainly astonishing. These hit Florida hard, not surprising as it is at a point, literally, where the pull down is the most extreme. Detroit and Milwaukee, at the end of the St. Lawrence Seaway yawing. up the East Cost through Virginia and into Pennsylvania, a point where sinking and rising land create a break, a snapping of the Earth, as land south of Pennsylvania is pulled down while land North tends to bounce up as the Seaway yaws. And into land at the edge of the stretch zone, such as Missouri and central Canada. To folks around Wildwood MO, it is nothing but freaky: an entire 23-acre lake vanished in a matter of days, as if someone pulled the plug on a bathtub. Lake Chesterfield went down a sinkhole this week, leaving homeowners in this affluent St. Louis suburb wondering if their property values disappeared along with their lakeside views. A Milwaukee street was closed Friday because of a huge sinkhole. The hole, at 35th and Juneau streets, measures around 40 feet long, 40 feet wide and about 15 feet deep. US 27 was closed Tuesday when the Department of Transportation discovered a giant sinkhole below the surface. The sinkhole was about 20 to 30 feet in diameter. The discovery of a sinkhole near Highway 100 east of Franklin forced work to stop last week on the city's sewer extension project. A giant sinkhole in Sterling Heights grew even bigger late Monday morning as repair crews worked to stabilize the ground surrounding it. The hole measured approximately 160 feet long and 60 feet wide. The cavity was estimated to be as deep as 30 feet. Crews could not say what caused the sinkhole. As the Pittston Avenue sinkhole continues to expand, so does the number of damaged properties in Lackawanna County. Across town on Pittston Avenue, city and state officials met Monday morning to examine the subsidence that swallowed a portion of the road near Brook Street, rupturing a gas line and forcing the evacuation of at least 50 residents. The sink hole has expanded by about five feet and now consumed three-fourths of the two-lane road. A collector lane of Interstate 81 in Montgomery County was closed Monday because of a sinkhole. Crews will repair the sinkhole by excavating it, filling it with rock, capping it with concrete and paving over it. 50-Foot Wide Sinkhole Opens In Couple's Backyard. The Fishers were in disbelief when they noticed two 30 foot trees, a shed and two other citrus trees had been swallowed up by the ground. If trains were derailing due to twisting track, and sinkholes appearing suddenly under highways, this was not the only horror aflicting transportation. Road heaved, bridges dropped, and land slid on top of traffic. Particularly in July, 2004, oddly, in 3 different US states. This shows a relationship to a diagonal pull across the US, happening at that time. Sweltering Heat Causes Street to Rise 5 Inches, Crack, and Blow Up. Experts say the crack is unusual, because the heat-related breaks typically occur in concrete, as opposed to asphalt. A block of road was in normal condition last week, but since then it has risen three or four inches out of the ground. Now, traffic is blocked off in that area. The City Engineer's office say they still don't know what's causing the road to rise up. A huge chunk of earth surrounding a quarry collapsed overnight. Deep crevices can be seen right on the shoulder of the roadway. The cause of the collapse is under investigation. I-70 is closed in both directions at C-470 after a steel girder collapsed onto the eastbound lanes of I-70 and landed on a SUV. The girder weighed several tons. The girder was put up as part of a project to widen a ramp that leads to I-70. This twisting of the North American continent involves New England pulled to the East along with the rotation of the Earth, Mexico and the southwest pulled to the West, as the South Pole was being tugged in that direction. This opened crevasses in the southwest. This was not due to compression, subduction of plates, but due to the stretch, the land in these areas being pulled apart. These sudden crevasses were not associated with any particular earthquake, but they WERE associated with road pops from Kansas to Illinois to Pennsyvania! A gaping, mile-long crevasse opened early Tuesday along what officials described as a geological fault line in western Mexico. The crevasse reportedly opened without warning early Wednesday. It stretches about one mile across farm fields in a sparsely populated area in Zapopan, a suburb of the western city of Guadalajara. It is as much as 15 feet wide in some places. Authorities today are investigating the cause of a fissure north of Willcox that spans a quarter mile and is up to five feet wide at some points. The fissure was discovered Wednesday morning by a resident who told Cochise County Sheriff's deputies that he awoke to loud rumbling and crackling overnight. He found a fissure near his home, that officials say appears to be expanding. Authorities do not know how deep the fissure is, but a spokeswoman for the Sheriff's Department said it's too deep to see the bottom. Willcox is about 80 miles east of Tucson. Sinking land in the stretch zone very much affects gas and water mains running under streets, and a rash of reports emerged as Planet X tightened its grip on the Earth. During the 6 months reporting period from April to October 2004, pipes were snapping all across the stretch zone like never before. Georgia Power crews continued working Monday afternoon to repair underground power lines in downtown Atlanta that exploded overnight, sending manhole covers flying into the air. An official with Georgia Power said such explosions are not common. The force of the blast sent three, 50-pound manhole covers into the air. Gridlock ensued when water began leaking into the northbound lanes of the tunnel, at one of its deepest points. The tunnel carries Interstate 93 through the city. The leak occured in a portion of the wall which has been in place for 10 years. A water main break in Buffalo early this morning has shut down part of Chippewa Street. Water bubbling up from the break flooded the area and caused parts of Chippewa to buckle. As the area began to resemble a lake, police blocked off intersections and water crews were summoned to the scene. The crack extended about three-quarters across on the bottom, which indicated that it was a stress crack caused by the earth's movement. The earth shifted, and deep below the surface a water line bent and cracked. City officials said a 36-inch water main gave way, shooting a high-pressure jet of water underground and clearing away the dirt and sand under the road. The hole stretched nearly across Perkins Avenue and was at least 15 feet deep. The DPW Commissioner said he was unsure what caused the 36-inch pipe to let go. By June, 2005 scientists were openly admitting they were concerned about the New Madrid fault. US scientists, reporting in the British science journal Nature on Thursday, say the New Madrid Seismic Zone is deforming rapidly, experiencing rates of strain that are similar to those in notoriously active plate boundaries. Strain is building on a fault near Memphis, Tennessee that was the site of a magnitude 8.1 earthquake in 1812. Such a strong earthquake would rock the entire eastern half of the country and prove devastating to the local region. In a three-month period in 1811-12, three major earthquakes rattled a broad expanse of the United States, causing damage as far away as Charleston, South Carolina and even rattling nerves in Boston. The quakes triggered landslides into the Mississippi River and, according to some boaters who were not drowned, sent part of the river running the other direction for a time. The earthquakes were centered around New Madrid, Missouri. They measured 8.1, 8.0 and 7.8 and represent three of the four strongest earthquakes ever recorded in the lower 48 states. Sandy soil in some areas became liquefied in past events. This tendency for soil east of the Rockies to liquefy, along with other differences in geology, means earthquakes there pack more potential for damage and are felt over a much wider region than western temblors. A few months later, in September of 2005, a mysterious smell like rotting cabbage or the cat's litter box wafted across the US. A mysterious smell has been lingering around numerous neighborhoods in one local community, and now residents want to know where that odor is coming from and if it's dangerous. And so it went across the Southland, as some detected strong odors from the coast to the Valley. Workplaces and weblogs were buzzing, with descriptions comparing the smell to old socks, rotting cabbage soup, moldy wet wallboard and the cat´s litter box. Municipal officials are urging Longlac residents to exercise caution as they investigate reports of gasoline-type odours in the towns sewer system. Students returned to class Wednesday afternoon at two adjacent schools in Northeast Washington, but the mystery continues over what caused the odor that led to evacuations. A foul smell at a downtown Greenville building sickened several workers and forced an evacuation. Four people were sent to Greenville Memorial Hospital for treatment of nausea. State and federal environmental officials are trying to determine the cause of a big stink reported along Lake Erie. Hundreds of residents called authorities or the National Weather Service yesterday to report the smell, which has been variously described as like gasoline, natural gas or even decaying garbage and rotten eggs. The cause, per the Zetas, was methane gas released when rock fingers were pulled apart, releasing gasses from rotting material trapped between rock layers. We have gone into great detail on what occurs in the stretch zones along the Atlantic, which includes the southeast United States and the St Lawrence Seaway, and warned recently that the stretch would accelerate and be exacerbated by the torque effect which is twisting the North American continent at a diagonal, pulling New England to the East and Mexico to the West. The overall effect of these forces is to drag the southeastern US down, along a line from Pennsylvania to Texas; to pull the continent diagonally; and to ease stress on the West Coast, as can be shown by IRIS charts indicating reduced earthquake incidence along the West Coast compared to the rest of the Ring of Fire. What happens to rock layers under a diagonal pull, or being pulled apart? As can be seen during recent years, this has resulted in derailing trains, sinkholes suddenly appearing, gas and water main breaks, torn roadways and separating bridges. Despite the effect on man, crawling about on the surface of what they assume to be terra firma, these changes are superficial. When the pulling starts, weak points break and thereafter the plumbing and roadways hold, giving the impression that the pulling has stopped, but this is misleading. The North American continent is giving evidence that its rock layers are separating from each other, and sliding sideways in a diagonal, thus exposing portions of these layers to vent into the air above. If rock is being stressed, then where are the earthquake predictors giving evidence of this, the frantic animals, the static on the radio, the earthquake swarms? Rock in the stretch zone, pulling apart rather than compressing, does not emit the particles flows that animals and radios sense, nor register on instruments are tension and release quakes. What lies beneath mankind's civilization, waiting to be exposed? More than rock and trapped oil and coal deposits, those these may vent during stretching. More than trapped volcanic gasses, perhaps trapped for eons since the rock was hardened or breached during previous upheavals. There is also, surprisingly, rotting material, trapped when extreme stress on the surface created yawing that swallowed surface material or when rock layers rolled over each other to sandwich such material between rock layers. Exposed, to the degree that venting upward into the air can occur, these smells are solid evidence that the rock layers below are adjusting. Since the concept of the stretch zone behavior as precursor to a pole shift was introduced by ourselves, the Zetas, and the detailed description of the torque on the North American continent was made by ourselves months before it expressed on the IRIS charts, we can only say, as Nancy is fond of saying, Zetas right again! In early 2006 there was additional evidence that the N American continent was being put under stress, pulled in a diagonal. Within a 4 week period, mining accidents from Canada to Mexico occurred, in a line parallel to one that could be drawn from Maine to Mexico, the stress line that the Zetas have described. The first was in the Sago mines in West Virginia, then another in Ontario, Canada, followed by a rare disaster in Mexico. Rescue workers were burrowing through debris clogging a Mexican coal mine early Monday in a desperate effort to reach some 65 miners who were trapped for more than a day by a gas explosion. A federal labor official told reporters during a news conference at the site that officials found nothing unusual during a routine evaluation on Feb. 7. Last month, 14 miners died in two separate accidents at mines in West Virginia, in the United States. Two men died in a fire Jan. 21 at a mine in Melville, nearly three weeks after 12 men died after an explosion near Tallmansville. In Canada last month, 72 potash miners walked away from an underground fire and toxic smoke after being locked down overnight in airtight chambers packed with enough oxygen, food and water for several days. Although a constant source of worry, why the sudden rash of explosions across the continent, and along a diagonal line parallel to what the Zetas have described? If so, coincidentally, Maine was reporting odd methane bubbles off their coast. University of Maine geologists reported in December, in the Portland Press Herald, 12-26-05, that dozens of methane fields off the coast of Maine were releasing large amounts of gas, disrupting the ocean floor and creating massive bubbles. By July, 2006, Cleveland, Ohio was reports quake swarms. Accompanying this was another blackout caused by problems in what is called the Lake Erie Loop. The stretching Seaway, at it again! New York state was facing the largest blackout in the history of America and had lost more than 85 percent of power in New York state. the exact cause remains unknown, but indications so far point to a downed 345,000 volt power line east of Cleveland, Ohio, on the "Lake Erie loop" - a series of transmission lines around the lake. Then on Sep 10, 2006, a rare quake in the Gulf of Mexico, on a fault line the USGS was unaware existed. Gulf Quake Felt From La. to Fla. The largest earthquake to strike the eastern Gulf of Mexico in the last 30 years sent shock waves from Louisiana to southwest Florida Sunday, but did little more than rattle residents. The magnitude 6.0 earthquake, centered about 260 miles southwest of Tampa, was too small to trigger a tsunami or dangerous waves. The USGS received more than 2,800 reports from people who felt the 10:56 a.m. quake. Scientists said it was the largest and most widely felt of more than a dozen earthquakes recorded in the region in three decades. The most prevalent vibration, which lasted for about 20 seconds, was felt on the gulf coast of Florida and in southern Georgia. But residents in Alabama, Mississippi and Louisiana also called in reports. The epicenter is an unusual location for earthquake activity, but scientists recorded a magnitude 5.2 temblor in the same location on Feb. 10. The temblor was unusual because it was not centered on a known fault line. The Zetas related this to the stress on the N American continent, and the pending New Madrid diagonal rip. We have stated that the New Madrid fault line will give way soon, in a diagonal pull not predicted by the experts as they discount the torque the N American plate is currently subject to. New England goes East, along with the Earth's rotation, but Mexico is tugged back toward the West when the S Pole is tugged by Planet X. This Earth Torque was predicted by ourselves 9 months prior to the Dec 26, 2004 tsunami quake in Sumatra, and has shown up on IRIS charts ever since. The diagonal pull on the New Madrid will cause the land East of the Mississippi to slide NE, land West of the Mississippi to slip SW, tearing many of the bridges across the Mississippi. 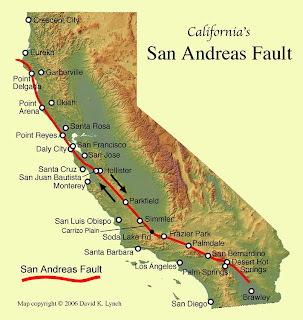 As the fault lines known by man are those that have recently adjusted, during the quiet times between pole shifts, it comes as a shock to find new fault lines in the center of the plate, and even more shocking, that large quakes are occurring there! This is only the start of New Madrid activity, which has also cause quake swarms in the SE US and torn the land in the SW and Mexico into crevasses. Just when it will hit, we will not say, as by the rules we are placed under by the Council of Worlds, we are not allowed to warn the public. This was followed by more adjustments in New England, which is scheduled to rise some 450 feet above sea level during the coming pole shift. 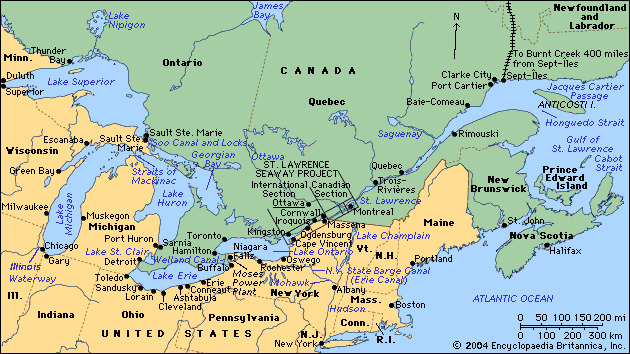 The tiny New England states are grouped at the end of what will become increasingly a peninsula of land, due to the widening of the St. Lawrence Seaway and the melting poles. The land is rocky, and will rise some 450 feet by our estimate above the current level due to the land being freed from its current connections during this continental rip. Quake swarms continued in Maine, and a dramatic drop in the water level in wells at the USGS site. U.S. Geological Survey monitoring well. Nearly 17 hours later, the water level was still dropping. Hydrologists call the change in the well dramatic. The preliminary magnitude 3.9 earthquake was the third such event to shake the state in the past few weeks. A magnitude 2.5 earthquake on Sep 28 and a magnitude 3.4 on Sep 22 were centered in the same location. Per the Zetas, all these are clues that the New Madrid does not have long to go before it gives way, allowing the diagonal slip along the Mississippi that the Zetas have predicted. ZetaTalk: GodlikeProduction Live, written Oct 7, 2006. Periodically, during the N American plate rip taking place steadily, there is evidence that rock fingers are being pulled apart, fault lines slip sliding past each other, and land rising or dropping. During 2004 and into 2005 there were seemingly endless reports of water and gas mains breaking, sinkholes developing and bridges and roadways buckling in the stretch zone. Crevasses occurred suddenly in Mexico and the SW. In the Fall of 2005, there was a stretch stench noted across the continent, from moldering soil pockets suddenly exposed to the air and releasing methane gas. During a two week period, mining disasters occurred at the Sago mine in W Virginia, eastern Canada, and Mexico, all trapping miners in well publicized rescue operations. Methane gas was again the prime culprit. Blackouts along the Seaway are blamed on a single failure creating a domino effect, but the station at Niagara, along the Seaway, has been the culprit, repeatedly. Quake swarms occur near Cleveland, Ohio, pointing to the separating Seaway as the source. Now quakes in the Gulf at a previously unknown fault, and in Maine, with result that the water level is either falling or the land rising. Why do these events seem to come and then go, if the stretch is continuous? The answer lies in what holds the fabric together. That part of the rock strata preventing the stretch or torque from occurring is put under stress until it snaps, then movement occurs. What might be termed soft structures snap when movement is first allowed. Thus, gas and water mains long considered structurally sound snapped when the FIRST movement occurred, and soft soil adjustments such as crevasses or sinkholes likewise occurred. Once these soft area have adjusted, this type of activity seems to stop, but the fault lines are still sliding and rock fingers are still separating. Maine, and the New England area, will rise significantly when the Seaway rips, as we have stated. As all precursor quakes during the time going into the shift proceed along the scripted drama that will occur during the shift itself, the New England area can expect to rise as adjustments occur in the N American continent. Thus, the water level FALLS. The Zetas have stated the devastation will make the New Orleans disaster appear trivial. New Orleans, after all, was another disaster waiting to happen, not a surprise. For the New Madrid disaster, affecting cities from Houston to St. Louis to Kansas City to Memphis to Cincinnati to Chicago and parts in between, the number of people left suddenly homeless will be immense, compared to New Orleans. These cities are not quake proofed, as is the norm on the West Coast. Lets look at the New Orleans disaster for a preview of what to expect, insofar as rescue attempts. We have described from the start of ZetaTalk a situation where the coastlines and river basins will be massively flooded during the pole shift, to the extent that coastal cities are flooded with a flood tide that just keeps rising, putting homes and the lower levels of buildings under water. All this seems fantasia to many, despite the physical evidence that such flood tides have happened in the past. Where New Orleans flooded because it was below the current sea level, and where the flooding of the city is not to the extent we have described for the pole shift, it nonetheless is an example of how water and wind can wreck a city and make all the former residents homeless, in a wink. Add to the mess in New Orleans the fact of tall buildings toppled by earthquakes, and people trapped in earthquake rubble, and you have the picture of what is to come. We have described from the start of ZetaTalk a situation where the grid, electrical power and phone lines, will be almost completely disrupted, water and gas mains ruptured, with no hope of repair, the result of an assault by earthquakes, water wash during flooding, and hurricane force winds. Many sitting comfortably in their homes dismiss such a possibility, as surely the modern technology they have come to enjoy will be able to quickly repair itself, as is this not the case after an ice storm or earthquake now? Where the disruption in New Orleans is due to flooding and winds, without the addition of quake damage, the total interruption of services for those trapped in New Orleans is certainly evident - pumps down, gas line breaks, water fouled, and no electricity. We have described from the start of ZetaTalk the anticipated effects of denial among those not willing to acknowledge the need for making changes in their lives, to the extent that they refuse to make any changes or take any steps toward taking themselves to safety. This despite mounting evidence that their survival will be tenuous if they do not take such steps. Where the depth of this denial, affecting a large portion of the population, seems incredulous, this is precisely what has occurred in New Orleans. Given orders to evacuate by the authorities, many chose to remain, comforting themselves by denying the possibility of harm. This denial was evident among the rich as well as poor, among vacationers remaining in fancy hotels as well as no place to go but the hovel that was their current home. We have described from the start of ZetaTalk the reaction of the rich and powerful to the threat of accelerating Earth changes, that being that they would suppress talk of this in the media in order to maintain the status quo, keeping the common man at their stations, at their jobs, and being consumers until the last. Where such treatment of the common man is nothing new, what occurred going into assault on New Orleans or the Gulf coast? Known to be unsafe, below sea level, or potentially in the path of such monster storms, housing and industry and commercial ventures were funded and encouraged. Encouraging the status quo, instead of championing an alternative such as moving enterprises and people inland, occurred. We have warned from the start of ZetaTalk that self sufficiency, rather than relying on government handouts or camps, was absolutely key to survival after the pole shift, as rescue would not be forthcoming and camps would become work or perhaps death camps, ultimately. To those clinging to the comforting thought of the government as a substitute parent, or to those working for the government, this is dismissed as bad advice, but what has occurred in New Orleans? First, everyone is marched into the Super Dome, where bad water and lack of food is compounded by crowding. Bad move, and not the last bad move, as now the crowd is being relocated yet again, where more disappointments from government services are likely to result. We have emphasized from the start of ZetaTalk the need to distill drinking water to clean not only germs but pollutants such as heavy metals, as the pole shift will create a cesspool of industrial wastes where these are stored in tanks or produced, and exploding volcanoes will put lead into surface water as the volcanic ash drifts and lands far and wide. Most often, our admonitions result in a lot of discussion about water filtration systems, as though these will be handy and replacement parts available. Distilling water is time consuming, a multi-step operation, and thus tiresome to even think about. But what has happened in New Orleans? Suddenly, drinking water is not available, and the knowledge about how to clean the water is being discussed in the media. Of course, those living in the cesspool can't hear these discussions, and are drinking dirty water. If these citizens had been told how to clean their water, beforehand, with what they had at hand, all manner of problems would have been avoided. We have described from the start of ZetaTalk that the expectation of a return to normalcy could hinder adjustments after the pole shift, as many would simply sit and wait for rescue. There will be no rescue, and normalcy will not return, as the broken link rule would prevail. Where the pole shift will put the entire world into crisis mode, such that any emergency response team is overextended, this was certainly seen in the microcosm of the New Orleans disaster where the disaster was only regional. Despite decades of planning, FEMA failed once again. Yes, they were handed surprises, such as a failing levee system soaked beyond endurance so the soil surrounding the narrow tops eroded. The city cannot be drained because the pumps are under water - broken link one. Looters and gangs are stopping rescue efforts because police efforts were not supported by the missing New Orleans Reserves, who were of course stationed in Iraq - broken link two. So if the slipping of the New Madrid will be WORSE than the disaster of New Orleans, affecting more cities and a wider area, and dropping land West of the Mississippi so flooding occurs, are these cities more prepared? Those in the wake of the pending New Madrid quake, beware, and get prepared! Governor John Bel Edwards issued a state of emergency due to the threat of flooding along the Mississippi River and other bodies of water in the state. The declaration allows Governor’s Office of Homeland Security and Emergency Preparedness (GOHSEP) to coordinate support for local flood fight efforts. Remember, avoid flooded roadways. Do not remove or drive around barricades. It only takes a few inches of moving water to sweep a car of a road. A flooded roadway is also more prone to collapse. Athens, GA strange lights in sky anomalies, bizarre animal behavior, strange sounds..................all pre-cursors to New Madrid earthquakes. April 1, 2018: "Earthquake Lights" - Strange light phenomenon in the sky were being observed by people in the SE US prior to the 1811- 1812 New Madrid earthquake. People are seeing strange light phenomenon in the sky now in the same general area. Something to at least consider as they are very mysterious. CLEVELAND — A minor earthquake has struck below Lake Erie with no injuries or damages reported. The 3.2 magnitude quake that hit around 3:48 a.m. today was felt by northeastern Ohio residents in Painesville, Mentor and Fairport Harbor east of Cleveland. Mike Hansen of the state’s Ohio Seismic Network says quakes in that area of Lake Erie are common though it has been quiet recently. Monday’s quake was about three miles northwest of Fairport Harbor below the lake. 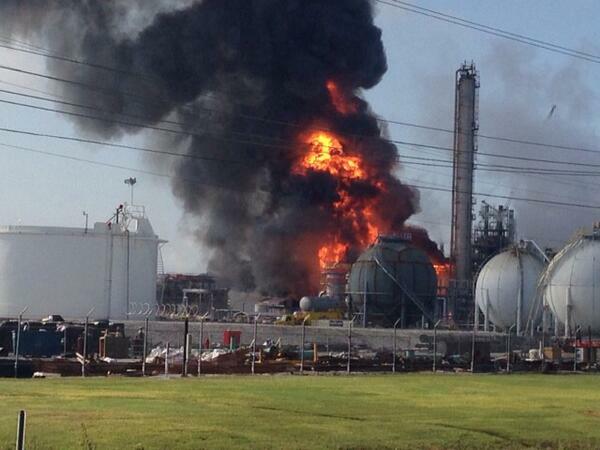 An enormous explosion shook a chemical plant in Geismer, Louisiana, just south of Baton Rouge on Wednesday. The blast was followed by a huge fire. 73 were injured in the explosion and subsequent fire. One fatality has been confirmed by police. One person was confirmed dead by police shortly after the blaze was extinguished. Louisiana Governor Bobby Jindall has said that 73 people have been taken to hospital, with many having to be airlifted out of the burning facility with severe injuries. A search for more possible victims is underway, Louisiana State Police Captain Doug Cain said. After the initial blast, clouds of thick black smoke could be seen billowing towards the sky, visible from a local school. Flames could be seen rising from two separate locations. Approximately 600 people were employed at the plant at the time of the explosion. “It looked like a pretty big explosion – it looks like Williams have taken all the precautions they can do to evacuate all the personnel. The firefighters are responding as needed,” witness Ryan Meador told local station 90 WAFB. The blast, which began at 8:37 a.m local time was contained by 10:50 a.m., and the situation was reported stable. Work near the giant sinkhole in south Louisiana was stopped Sunday due to increased tremors. A "burp" early Tuesday morning in the sinkhole means all work in and around the area is ceased until further notice. According to the Assumption Parish Police Jury Blog, seismic monitors recorded a very long seismic signal at 3:24 a.m. and they're saying this is likely when the burp happened. There are no reports of a slough in or if debris was burped up Tuesday morning. The sinkhole grew by three acres last month, bringing its total size to about 15 acres. It has been nine months since hundreds living near the giant sinkhole were forced from their homes. Bubbles were spotted in Bayou Corne and Grand Bayou in June 2012. Two months later, the ground opened up and left a nine-acre sinkhole. Residents were evacuated and have been for the past seven months. Most affected residents began receiving weekly checks from Texas-Brine in the amount of $875 per week. CHICAGO (CBS) — Who could forget the pictures, a memorable part of the storm of 2013. A broken sewer line created a giant sinkhole in the street and swallowed three cars. Two-and-a-half weeks later CBS 2’s Roseanne Tellez, returned to West Pullman to see how the patch up job is going. Like the hole itself, it grew into a bigger job than first thought. Tonight, the hole is bigger than ever, the sewer smell worse than ever, and the residents are being told it will take at least a couple more weeks. VAN BUREN COUNTY, Ark. -- The Arkansas Geological Survey is stepping up its monitoring of seismic activity southeast of Clinton near Greers Ferry Lake. The area has seen nine earthquakes since the weekend including three on Tuesday morning. Against a backdrop of a pristine spring day above ground in Van Buren County on Tuesday, sensitive seismic equipment now in place to detect what's happening below ground. "Things have definitely picked up. We do have plans to install a second station in that area," Ausbrooks says. "We don't know if these are occurring on one fault or multiple faults. Right now if you look at the map it kind of looks like a shotgun pattern." Danny Hicks says he has lived southeast of Clinton for over 15 years along Highway 330 in Van Buren County. "I've never noticed it," Hicks says. "You wonder what is going on with all the drilling." In late 2010 through early 2011, the shaking and earthquakes were much stronger just south in Faulkner County around Greenbrier and Guy. The Arkansas Oil and Gas Commission isolated Injection wells related to natural gas exploration as the cause. No new wells were allowed and the four operating were capped and abandoned. The Arkansas Geological Survey says it is too early to identify the cause of the current earthquakes. Ausbrooks says the quakes have ranged from 1.5 to 2.3, detectable only through use of seismic equipment. "The quakes could be occurring naturally along existing fault lines, or it's possible they could be a result of reservoir induced seismic activity along Greers Ferry Lake." Ausbrooks says. "My advice to the residents is know that we're monitoring." Hicks has a two-word defense: earthquake insurance. "I guess it would be like these storm cellars everyone is putting in, spend $5000 or $6000 and hope you never need it," Hicks says. Ausbrooks says if residents start feeling the quakes it will be a "game changer "for him. "More earthquakes will give us more data," he adds. Local officers from the Lowndes County Sheriff's Department and neighboring counties traveled to Illinois this week to participate in a one-of-a-kind homeland security training exercise. Deputies Larry Swearingen and Ivan Bryan were among 50 Mississippi law enforcement officers who traveled to Marion, Ill. as part of a combined effort between the states. "Right now we are setting a standard, because we're the only two states in the United States who have been able to do this," Swearingen said. Swearingen, commander of the Mississippi Office of Homeland Security for District 2 and the commander for Lowndes County's Special Response Unit, said in light of the recent bombings at the Boston Marathon, practicing real world scenarios helps in the event of a terrorist attack or a natural disaster. In Illinois, the three-day training exercise was based upon an earthquake on the New Madrid fault line. "This is the first time two states have come together and put on an exercise where they can test the mobility to make sure we could mobilize to another state," Swearingen said. During the event, officers were presented with obstacles likely to occur in the event of a natural disaster, such as having to find alternate routes to get to their location, conducting search and rescue and checking critical infrastructure. Swearingen said from the moment the Mississippi unit deployed, they were in mock training mode, communicating by radio with law enforcement officials in Illinois. Since the training exercise, Illinois and Mississippi have entered into an agreement that in the event of a natural disaster, each unit will mobilize to help the other. "If we have another (Hurricane) Katrina, we'll have 500 officers from Illinois that we've trained with, and some of us know personally, coming down to assist us," Swearingen said. "And if they have something, we can send 170 officers up to them. The greatest importance of it is for the citizens to be protected." He added that the agreement came about due to the similarities in Mississippi and Illinois law, and other states are now using Mississippi as a model for their training exercises. "It's a great compliment," he said. "You've got states from all over coming to see how Mississippi does things." Officers from Oktibbeha County, Amory, Brooksville and Meridian police departments also participated in the exercise.